- Used to create a seal to maintain pressure within a cylinder. Our Manufacturing of Oil seal spring has highly Sophisticated technology from wire diameter range of 0.20 mm to 0.80 mm by fully Imported CNC Automatic Coiling machine with the length of spring up to 2000mm. Our Imported Automatic joining machine ensure the Joining Strength of spring length from 18 mm to 100 mm length. Riding on vast volumes of expertise in this arena, we are occupied in offering Oil Seal Spring. 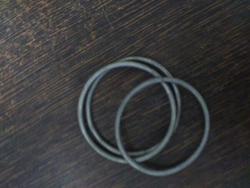 Oil Seal Spring are made out of nitrile synthetic rubber with steel stiffener rings. Other rubbers such as viton, silicon, neoprene or poly acrylic can be used for specific applications. The stiffener rings may be stainless steel or brass where highly corrosive fluids are to be sealed. We are the leading organization, actively involved in providing a diverse range of Aluminum Oil Seal Spring. These are made as per industry parameters and norms. We are the manufacturer exporter wholesaler of oil seal spring in city Vadodara in state Gujarat with the latest technolog CNC spring machine. We have carved a niche amongst the most trusted names in this business, engaged in offering a comprehensive range of Oil Seal Spring. We take pleasure in introducing ourselves as leading firm by offering Oil Seal Spring. Thick frame embedded these Oil Seal Springs are presented in market in safe form. These offered springs are reliable and can be accessed from market in many sizes and shapes. 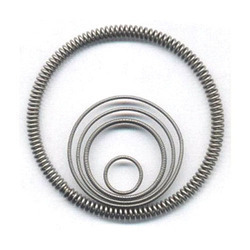 Moreover to this, these springs are durable and praised by patrons due to longer life working without any breakage.